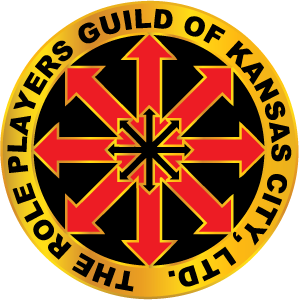 We are the Role Players Guild of Kansas City, a 501(c)(7) not-for-profit tabletop hobby gaming advocacy group, one of the largest game clubs in the midwest. The majority of our members reside in the Greater Kansas City Metropolitan Area, with some located across the nation. Membership dues support the organization's conventions, outreach efforts and operating costs, and allows us the occassional box of staples. We enjoy an all-volunteer staff of officers and committee members that are dedicated to educating the public about tabletop hobby gaming and bringing gamers together. Our monthly Game Day is on the second Saturday of each month. Check the Game Day section for dates, times and locations! Monthly business meetings occur online at 7:00pm on the first Tuesday of each month. Check our calendar or Facebook for links to online business meetings. Ideal for single gamers or gamers whose families don't also enjoy the hobby. Includes one full Class I membership with voting rights and full member benefits. Our best value where everyone in the family enjoys membership for one low fee. Includes two Class I memberships and additional non-voting memberships for the remaining household members. Grants access to the website forum and help system only. Ideal for non-RPGKC members whose gamemaster hosts his campaign in our forum. Does not includes a Class I or Class II membership, voting rights, or member benefits.